The community of Cub Hill, Maryland is a study site to measure long-term ecological effects. The site is centered around a fire tower that is located off of Old Harford Road and Cub Hill Road on property owned by the Department of Natural Resources. 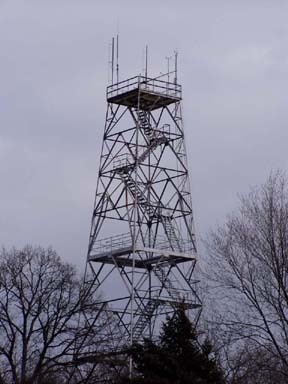 The tower was built in the 1930's to serve as a fire tower for Cub Hill, but today it is equipped with probes that measure UV radiation, CO2, and O3. Studies are focused on the atmosphere, soils, hydrology, vegetation, the built environment, and soil organisms. All of these studies will help to show the influence of land use/land cover and environmental factors on landscape characteristics and dynamics in a suburban ecosystem.